By ten o'clock, it was ten degrees outside, and someone made the decision to let the kids in line spend the night in Boston Garden so they wouldn't freeze to death before the box office opened the next morning. A cheer went up as the kids, most of them wearing blue denim, were let into the building. Soon they were passing joints and swigging from bottles of cheap Ripple and Boone's Farm apple wine. When that ran out, some kids broke into the beer concessions during a shift change of the security guards. Someone opened an exit door and let in a few hundred more kids who had lined up for tickets. The kids turned on the fire hoses and flooded the arena's hockey rink. The police arrived as Led Zeppelin's fans were looting merchandise stands and lighting bonfires composed of the Garden's old wooden seats. Drunken kids then turned the high-pressure fire hoses on the cops and their dogs. It took the riot squad three hours to chase the kids out of the building. The Zeppelin fans then fought the police in the streets until they were dispersed sometime after midnight . . . 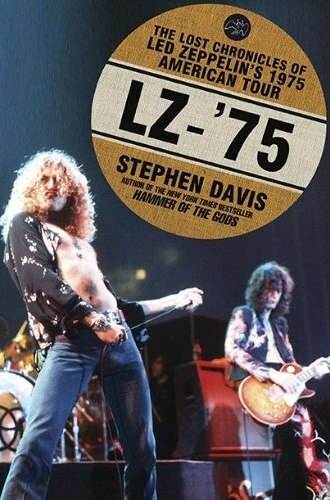 Led Zeppelin would be forced to bypass Boston on their 1975 American tour. By the latter part of the demographic-obsessed seventies, scenes like this naturally reinforced the image of the white male teenager as a hopeless reprobate, liable to cause all sorts of trouble at the mere mention of the term "rock 'n' roll." 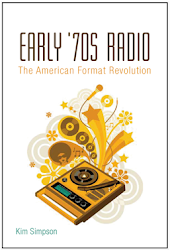 Ultimately, the radio industry's efforts to "tame" this loose-cannon listenership, which kicked in in the early '70s, had to do with formatting strategies as opposed to any successful efforts in effecting behavioral change. Anyone, actually, at Chicago station WLUP involved in - and taken off guard by - the disco demolition mayhem of '79 really had no excuse. They should have seen it coming. P.S. Billboard's account of the affair has numerological connotations. It lists the number of rioters at 3,000, total tickets sold for the entire LZ tour at 330,000, damage caused by rioters at $30,000, a total of 12 concession stands having been broken into (1+2=3), and 300 cases of beer removed. Also note, from the Davis account, the number of hours it took riot police to clear the place: 3.